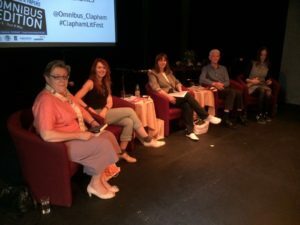 A fair-sized audience, on a hot and sunny Friday afternoon, turned out at the Omnibus Arts Theatre, for an event featuring four local writers who live and work in Clapham or very near by. The writers had each chosen to discuss one of their books. These ranged from contemporary fiction, both novels and short stories, to an historical adventure story for the younger reader. Each writer was interviewed by novelist Elizabeth Buchan and each read a short piece from their chosen book. There followed an insightful discussion session with members of the audience. 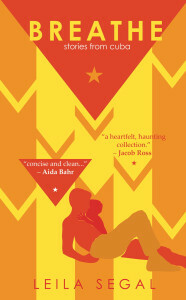 Leila Segal’s well received first collection of short stories, entitled ‘Breathe‘, is set in Castro’s Cuba, where Leila lived for a time. They show the country mostly from the perspective of outsiders, who come to Cuba seeking different things, though there is one story narrated by an indigenous resident. She read a highly evocative, first person narrative as told by a woman visitor to the country, whose dancing is observed and commented upon by a group of Cuban friends. Leila is currently working on her first novel, which has the working title ‘John‘. 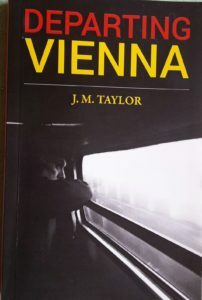 JohnTaylor, whom regular readers of this web-site blog will have come across before, talked about his novel ‘Departing Vienna‘. Set, in part, in contemporary north London and in part in Vienna and Trieste, both present and past, the novel deals with the complexities of translation of several types – translating from one language to another, from the past to the present and from deception to truth ( or the other way about ). John read a piece showing his translator protagonist, Mark Shilton, interviewing a relative of the ( deceased ) author of the book he is translating. John is currently working on a novel set in Prague. 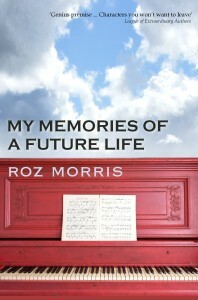 Roz Morris, who happens to be a best-selling ghost writer and excellent editor ( I know this because she edited ‘Reconquista‘ ) talked about her own writing, particularly ‘My Memories of a Future Life‘. This is a new twist on the reincarnation tale, a psychological, time-transcending and suspenseful story. Roz read from its opening, set in Clapham at a yoga class and narrated by a reluctant and sceptical class participant, which amused as well as engaged the audience. 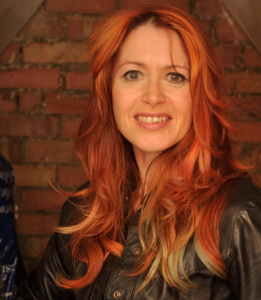 She is currently working on her third novel, entitled ‘Ever Rest‘. 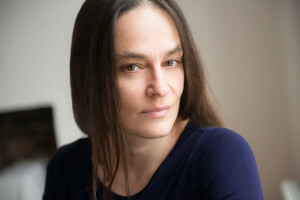 The fourth writer was your blogger who read a piece from ‘Reconquista‘ ( which was too long and, note to self, was read too quickly ) and answered questions about its genesis, writing for the younger reader and how she researched the novel. 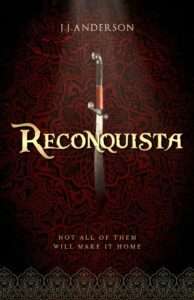 I am currently working on the sequel to ‘Reconquista‘ which is provisionally entitled ‘Convivencia‘. The discussion was interesting and the audience engaged enthusiastically with the writers. Before one knew it the hour was up and Elizabeth had to bring the session to a close. Several conversations continued outside the theatre and books were signed and sold. ‘Breathe‘ is published by Flipped Eye Publishing, ‘Departing Vienna‘ by Forbitou Books, ‘My Memories of a Future Life‘ by Createspace and ‘Reconquista‘ by The Story Bazaar.